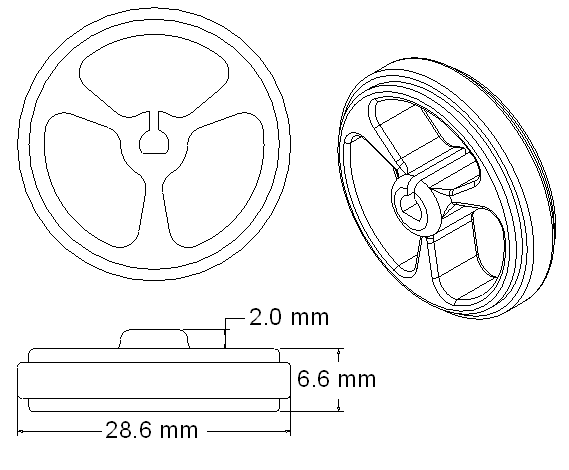 This wheel is designed to fit securely on the output shafts of our micro and mini metal gearmotors, as well as the Solarbotics metal gear motors and the Pololu 120:1 mini plastic gearmotor 90-degree 3mm D-shaft output. 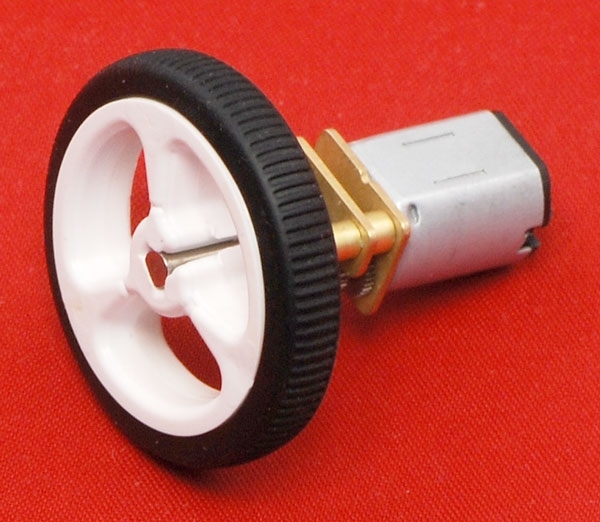 These are the same wheels that are used on the 3pi robot. They are available with white plastic hubs or black plastic hubs. 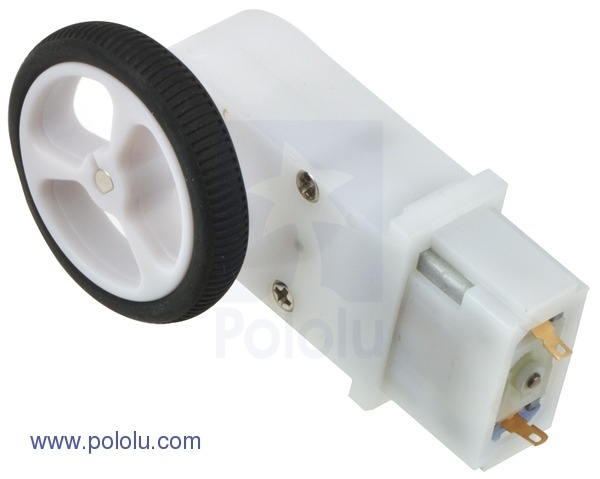 Both Pololu micro metal gearmotor bracket and extended micro metal gearmotor bracket work with this wheel.